Homeschooling » Speakers » Dr. Joyce Herzog, Ph.D. Learn 12 secrets that will simplify your life AND enhance your teaching! Joyce draws from over 30 years experience that will make you laugh and learn. The LOAD will be lifted from your shoulders. Confused about educational styles, grade levels, or what your learner can do independently? Come and hear this before you spend your budget! Understand your needs and avoid wasting money on materials that don’t work. In this workshop, most parents learn and understand more grammar than they did in their whole school career. And even better than that, are ready to teach it in a way that makes sense! Come see into the heart of your struggling learner – even if he is gifted in some areas. Discover the underlying problem, look at his strengths and learn some strategies to get moving in the right direction. “All he wants to do is play with Legos™!” Learn how to help your child move from what he loves to discovering his passions. Watch him move on from there to seeing God’s calling on his life. Look inside his heart, look back, see what happened. Then turn it around! If you have one or more children who are reluctant to dig in and learn, this workshop is for you! Discover that you are not alone, learn how it got this way and how to turn it around. Great ideas that will revolutionize HOW you teach and your effectiveness. See how to use graph paper to simplify the teaching of everything from printing and addition, to perimeter and square root! Learn ways to reuse any workbook, instantly improve reading for some children, make learning math facts fun and easy, record progress, and more! Joyce has taught kids from 3 to 17 to read and spell - whether they’re typical, gifted, or struggling. Did you know your approach to teaching reading implies a world view? Come learn about the underlying philosophy and see what works! Learn some of the best tricks from a master teacher. You don’t need ten years to become great! What to KNOW, What to DO, Where to START. Look at the big picture first... What is homeschooling? We’ll consider issues like: School vs. education, organizations to know about, a peek at curriculum and cruising the curriculum fair, planning, scheduling, record-keeping, 3 R’s, and 6 R’s for older students plus much more! Help any child learn better. Is your family a team of well-oiled working parts functioning as a unit or a loosely connected group of individuals pulling in different directions? Understand why “good” things don’t work and what you can do to move from the 4M’s through the 3R’s to the 6R’s. Sure they like games! Learn to keep them happy and learning! You’ll learn - and understand - more grammar in one hour than most of us learned in school. Using unbelievably simple unique ideas, you’ll learn to teach in ways that make those grammar concepts a breeze! Covers parts of speech, parts and kinds of sentences, and more. You CAN Teach All Ages at Once! Teach them ALL at once...without “reinventing” everything all the time...easily and with real learning! Take home a list of questions to spark learning on any topic. A Parent Participation Workshop! Whether you are working with a learner who is learning disabled, ADD/ADHD, Down’s Syndrome, or Autistic, you’ll find help here. From general tips to specific helps to multiple resources; this workshop provides it all. God created every child to learn - some need special techniques. Learn from someone else's experience and get a jump start! Joyce presents principles to consider as well as specific comments on many available materials and their effectiveness with different types of learners. These concepts will save you time and money as they enable you to make informed decisions. Learn More, Faster With Fun! Learn strategies and approaches that will leave your students laughing and learning all the way through “school.” From toddlers, reading, writing and history to training the teacher and simplifying both planning and record keeping, there's something here that your family needs! Miss the wonder in your child’s eyes when he’s amazed at learning? Long for the “light bulb” of understanding? Want to draw the family back from their grade-leveled tasks? We’ll show you how! Come and get excited! Be delighted over a real approach to learning. Unite as a team with learning as the goal and the reward! Come and learn the ins and outs of homeschooling your special needs child. Whether your child is a struggling learner, is on the autism spectrum, has ADD/ADHD, has Down’s Syndrome, is severely handicapped, etc., you can home educate your child!! Come and learn more about how that can be done, including some practical tips and ideas to help you successfully work with your child. Plus, we’ll discuss ways to deal with the added stress of having a child who doesn’t seem to be learning like his peers, or who can’t sit still, or who has a medical problem Be encouraged as you delve into homeschooling your special needs child! Owner: Joyce Herzog Enterprises, Inc.
Former classroom educator for 25 years, working with special needs children, their families, and their teachers. Joyce Herzog taught in public and private schools for 25 years before moving on to encourage parents in the art of schooling at home. 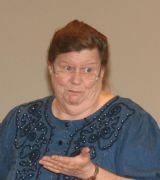 She has delighted crowds across the country with humor and candid homeschooling advice. Her most popular workshops have been “Secrets Teachers Never Tell,” “Hands-On Learning,” “Nifty Tricks” and “Learning in Spite of Labels.” She has often left her audiences laughing tearfully and swirling in new ideas to implement immediately. Neurotypical, gifted and challenged learners can best be educated in a small environment where they are nurtured and challenged. Most children, especially those under age eight, are big picture learners, benefit from touching and manipulating materials, laughing, playing with pieces and ideas and building vision and motor skills to handle future reading and writing demands. Reflecting this belief, her products are designed to be multi-age, logic-based, with all modalities involved in the practice sessions which are creative, varied and multitudinous enough to give the slowest learner and the most precise mom options that fit. 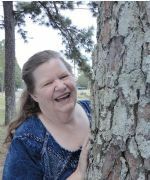 Though Joyce has a master’s degree in learning disabilities and a doctorate from her writings, she says, “Just call me ‘Joyce’. ‘Dr’. is a label and I wrote a book called Learning in Spite of Labels.” Joyce is the creator of The Scaredy Cat Reading System and author of more than 20 books, including Timeless Teaching Tips, Choosing & Using Curriculum, History in His Hands, and learning tools such as School in a Box, Dice in a Bag and Early Learning Kit ‘n a Bag. Joyce believes that God has directed the family to be the center of education and that, not only are all individuals uniquely designed, but all families unique as well. The steamroller efforts of the average school tend to try to form all children into the same mold, making them good for little and excelling in nothing. Joyce has helped families all over North America find a new perspective on their children, their homeschool and their educational plans. She and her husband, Tom, live in Chattanooga, Tennessee with two small dogs, four garden spots and a swing under the first of two huge carports. They enjoy entertaining and playing with children. Y’all come. My hope is that this list will assist conference organizers in connecting with Joyce Herzog and other workshop leaders and speakers. Furthermore, my desire is to help homeschool workshop leaders and speakers develop relationships with more convention planners and audiences. May your efforts be for the glory of Christ and the strengthening of His saints. Are you Joyce Herzog? Please click your name to login and update your profile.